Diesel Compressors for Hire in Sheffield, Leeds, Nottingham, Manchester - ideal for site. 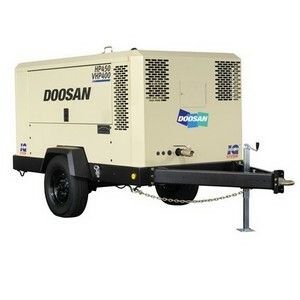 Our hire fleet 100cfm diesel compressors are the work horse of the compressors. The 100cfm compressors can power most machines used on site, from breakers to rivet busters and impact wrenches, the compressors will handle the job. 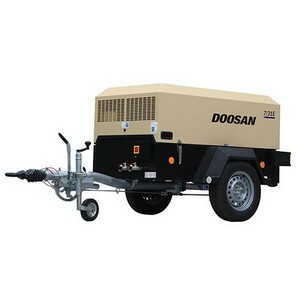 Each compressor has two 3/4" air outlets and all units are road towable. The hire fleet 250cfm compressors are the ideal size compressors for running grit blast pots or running multiple pneumatic hand tools on large projects. Each compressor has four 3/4" and one 2" air outlets. Again all units are road towable. The 400cfm compressors are large powerful compressors able to power multiple grit blast pots or large quantities of pneumatic tools. Ideal for large projects with a high pneumatic tool usage. 3 x 3/4" & 1 x 1 1/4"
1 x 2" & 3 x 3/4"